Most people will never have the chance to visit the famous Svalbard Global Seed Vault beyond a glimpse of the entrance from outside. Colloquially also known as “doomsday vault”, it is used since 2008 to store seeds of food crops to make sure the species survive even when all other stocks are destroyed by natural or man-made ecological disasters or war. The inside of the Svalbard Global Seed Vault is, however, closed to the public. Only those who are working there, some VIP visitors and media teams, on certain dates and with prior registration, get inside. 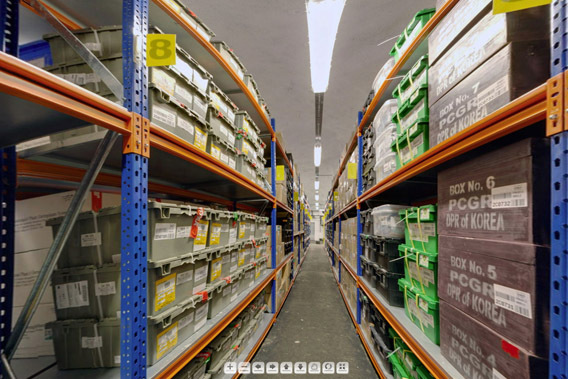 During a media visit in 2016, I had the rare chance to photograph the Seed Vault including 360 degree panoramas, which can now be seen on this page (click here). Parts of the Seed Vault are currently under renovation. The Svalbard Global Seed Vault is now accessible as a panorama tour on this website.